Home #BigTopStory When ‘IT Corridor’ Becomes ‘Ghostly Town’ Covered In ‘Construction Dust’ In Hyderabad! 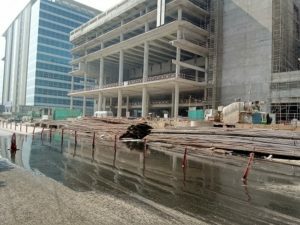 When ‘IT Corridor’ Becomes ‘Ghostly Town’ Covered In ‘Construction Dust’ In Hyderabad! The route from Madhapur to the Biodiversity Park junction in Gachibowli in Hyderabad, once a pleasant downhill road overlooking its hilly, rocky terrain, sprinkled with wild plants and shrubs, now goes through what can only be described as a ghostly town covered in construction dust. If one were to take an auto from Inorbit mall in Hyderabad, located in Madhapur, to Gachibowli, they would go through a road that zips right through the city’s unique rocky terrain. Both Madhapur and Gachibowli are the city’s new IT suburbs, housing companies large and small. The sheer amount of unrestricted construction on this road has reduced the road to a running cancer risk if on foot or in an unairconditioned vehicle. Hyderabad has been seeing a massive infrastructural boom since the last 20 years, first under united Andhra Pradesh Chief Minister Chandrababu Naidu and now under Telangana CM K Chandrasekhar Rao. This has mostly come in the form of large multinational companies setting shop in the city near the outskirts, the most famous of which recently was IKEA. 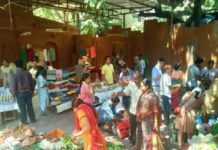 Consequently, the outskirts such as Gachibowli, Kondapur or Hitech City are now home to a large part of the city’s incremental population and form what is now a new Hyderabad, or Cyberabad as the surrounding region is now officially referred to as. ALSO READ: Tandoori Chai Tadka: A Wintery Hot Beverage With A Difference! On the way to infrastructural development, however, the city has ignored environmental concerns that plague Indian cities. 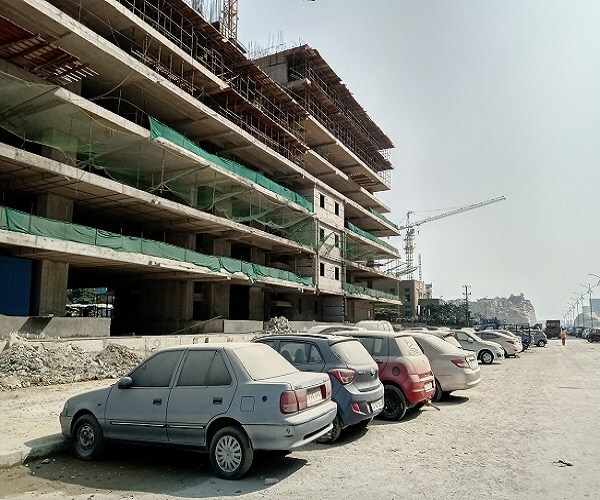 Builders seem to have been given free reign over the city’s roads, with the pace of construction being the only concern. Indian roads are known to be dusty without being flanked on both sides by buildings under construction. 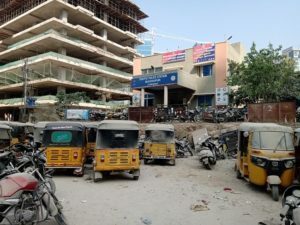 Hyderabad ups the ante by having a sort of untethered construction that evinces a free hand given to builders in terms of road use, both in terms of physical usage and also by allowing them to disregard the effect of their construction on the road. Construction sites adjoining the roads open directly with none or grossly insufficient physical barriers. Even the unaesthetic blue tin fencing is missing. The result is predictable. Construction dust which includes silica and cement lies on the roads and cars that may have been parked on the road for enough time. This dust contains particulate matter and inhaling it is harmful for the lungs. In light of such flagrant apathy on part of the builders as well as the government, the NGT guidelines seem comically optimistic. On one of these roads filled with dust clouds lies the Madhapur Traffic Police Station. This road is lined with cars presumably related to the police station. This road parallels yet another unfenced construction site and these cars were covered in construction dust. The violations do not end at construction dust, however. Some roads were also occupied by construction materials. 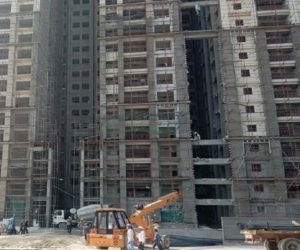 On a road not far from Inorbit mall in Madhapur, a construction site had long steel construction rods lying by the side of the rod, occupying almost half of it. The road also had a dark runoff from a damaged drain, the source of which was from below the rods. On another road, there was a concrete mixer truck doing its work—parked right on the roadside. Hyderabad sits on the Deccan plateau, with a landscape that once included lakes in between unique rock formations that are estimated to have existed since more than 2500 million years. Most lakes are now gone, encroached and concretised, and it’s now the rock formations that are endangered. 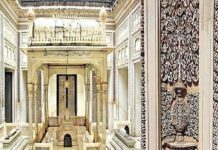 Previous articleDid Somebody Want To Stay At India’s Finest Luxury ‘Treehouse’? 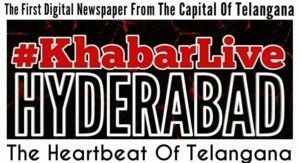 Next articleWhy In Telangana, Women Are Conspicuously Absent From Political Life?